Now Available In Europe, The St. Jude Medical(TM) EnSite Precision(TM) Cardiac Mapping System Transforms Procedures With Intuitive Automation, Flexibility And Precision (Photo: Business Wire). St. Jude Medical, Inc. (NYSE:STJ), a global medical device company, today announced expansion of its EnSite Precision™ cardiac mapping system limited market release in Europe and use of the new platform in more than 600 cases in nine countries since receiving CE Mark in January 2016. The mapping system is a next-generation platform designed to provide automation, flexibility and precision for tailored treatment in patients with cardiac arrhythmias. The launch constitutes introduction of an entirely new suite of technologies including innovations in hardware, catheters, surface electrodes (patches) and software features designed for improved ease of use. The system is currently available and expanding in select European countries as part of its initial launch and the company is currently pursuing U.S. Food and Drug Administration (FDA) clearance of the EnSite Precision cardiac mapping system. The EnSite Precision cardiac mapping system is used in ablation procedures to visualize and navigate catheters in the heart. The system provides highly detailed anatomical models and maps to enable diagnosis of a wide range of arrhythmias, guide therapy and provide expanded procedural options to tailor care for patients. During this initial launch, the EnSite Precision cardiac mapping system was used in a variety of procedures, from simple to complex, including atypical flutter, paroxysmal and persistent atrial fibrillation (AF), and ventricular tachycardia (VT), with excellent system performance through challenging procedure dynamics. "The EnSite Precision™ system is precise, reliable, accurate and it's fast. This is very important when it comes to the demands of today's electrophysiologists, especially as we see more patients with complex substrate based arrhythmias," said Dr. Gerhard Hindricks, Director, Department of Electrophysiology, University of Leipzig Heart Center in Germany. "This is really what we need to push clinical electrophysiology forward to a better level of successful case execution." The EnSite Precision cardiac mapping system uses intelligent automation tools to enable faster, more accurate high-density maps with greater consistency across cases. The system is flexible and enhances efficiency by allowing physicians to map heart chambers with any electrophysiology catheter and customize procedures to address the circumstances of each case. The EnSite Precision cardiac mapping system allows catheter navigation to occur with less fluoroscopy, thus reducing potential for risks associated with excessive radiation exposure. "We developed the EnSite Precision system with insight from world-renowned electrophysiologists to encompass leading mapping capabilities," said Dr. Srijoy Mahapatra, vice president of clinical, medical and scientific affairs for St. Jude Medical. "Providing a best-in-class mapping system combining speed and detail with precision and stability allows physicians to have the information they need to treat both straightforward and complex arrhythmias." When physicians use catheter ablation to treat abnormal heart rhythms (arrhythmias), several long, flexible tubes with wires - called catheters - are inserted into the heart. Diagnostic catheters record electrical information from the heart and display it in a three-dimensional anatomical model, which is used to study the abnormal rhythm. St. Jude Medical's electrophysiology (EP) business is one of the fastest growing segments within St. Jude Medical's portfolio.The company's EP product portfolio gives physicians the diagnostic, access, mapping and therapy solutions they need with designed integration for enhanced diagnosis and treatment of heart arrhythmias. A leader in collaborating with world-renowned electrophysiologists, clinicians and hospital administrators, St. Jude Medical develops safe and cost-effective treatment solutions for patients in need of advanced ablation therapies. 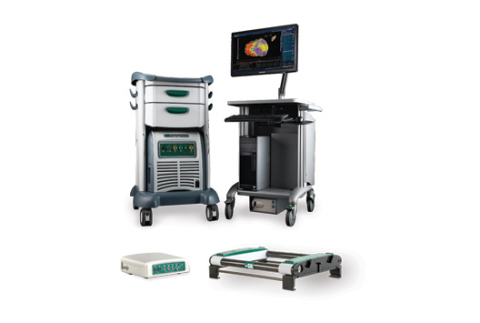 The EnSite Precision cardiac mapping system was developed to be used seamlessly with the existing portfolio of St. Jude Medical™ EP products, including the TactiCath™ Quartz Ablation Catheter System, the FlexAbility™ Ablation Catheter, the Ampere™ RF Generator and the Agilis™ NxT Steerable Introducer. For more information about St. Jude Medical's focus on arrhythmia management, visit the St. Jude Medical Arrhythmias Media Kit. St. Jude Medical is a leading global medical device manufacturer and is dedicated to transforming the treatment of some of the world's most expensive epidemic diseases. The company does this by developing cost-effective medical technologies that save and improve lives of patients around the world. Headquartered in St. Paul, Minn., St. Jude Medical has five major areas of focus that include heart failure, atrial fibrillation, neuromodulation, traditional cardiac rhythm management and cardiovascular. For more information, please visit sjm.com or follow us on Twitter @SJM_Media.